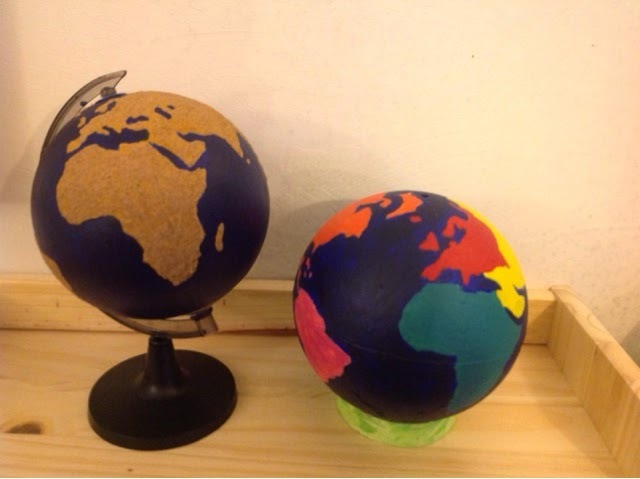 The primary montessori globes are extremely cool but also come with a hefty price tag, I wanted to create one but all the tutorials I found were using actual sandpaper cut out and stuck onto a globe. 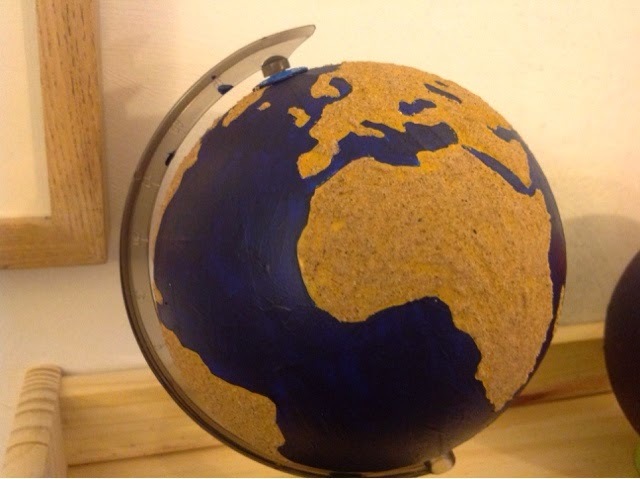 I haven't tried it that way and I guess it must work because lots of people have done it but I thought it would be very laborious and also difficult to stick a 2d cut out onto a 3d globe. 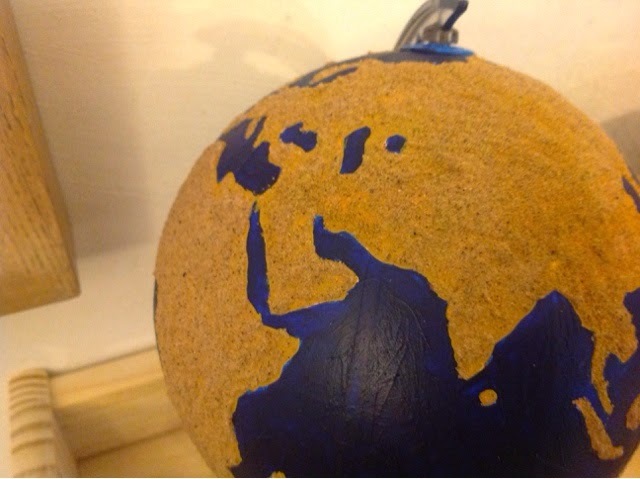 My method was to get a very cheap globe from a charity shop and paint the seas blue and the land a light brown. This took about three coats. I used acrylic so it dried fast. I then mixed some playsand with quite a lot of glue and used a tiny brush to paint that on to the land. I then left it over the weekend to get really hard and it's fantastic. The land feels really textured compared to the smooth sea and none has rubbed off yet. I went back to the charity shop and found another small globe (even cheaper this time because the stand was broken) and I painted that one like the continents globe with the sea blue and each continent a different colour. Binx made a stand for it by painting the inner tube of a roll of tape. I'm very happy with these, I think I spent £3 on the first globe and £1.50 on the second. Wow! They're beautiful! I'm always amazed by crafty people. Mine would be such a mess and unrecognizable as continents if I tried. What a great idea to mix the sand into the glue!